What does Bellapierre say about Bellapierre Cosmetics Go Natural eyeshadow palette? Add a bit of glamour to your look the natural way with Bellapierre Cosmetics Go Natural eyeshadow palette. 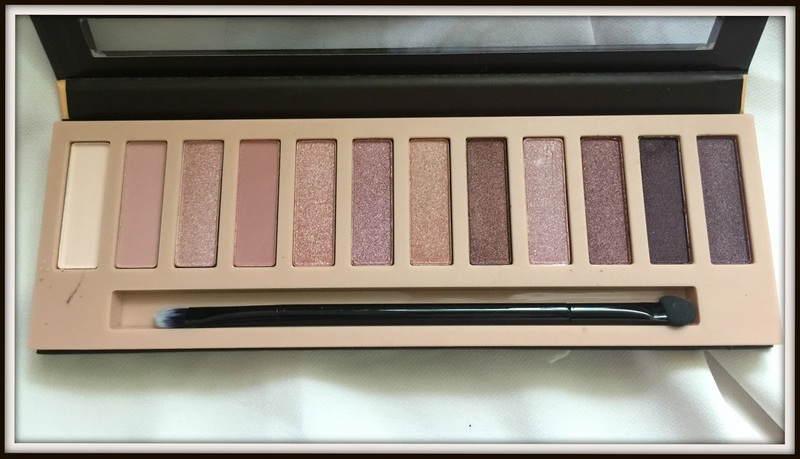 The palette comprises of 12 shades with a 100% pure mineral content. I recently purchased a mystery beauty box and I think this was part of that (not quite sure as they didn’t leave a invoice). Whilst I didn’t choose to buy the palette I was pleased to receive it to try. Typically Bellapierre sell these eyeshadows as individual pots so it was nice to see they had put them together to form a range of neutral shades. I love eyeshadows, especially pigmented ones and the majority of these shades really tick those boxes. Whilst the shade names are clearly listed on the back there’s nothing on the palette to actually indicate what was what which certainly left me guessing. I’m assuming however the shades go from left to right so the white matte shade is Frost and the pink shade Sorbet etc. There are 3 matte shades whilst the rest of the palette appears to have a very high shimmer content. It comes with a double ended applicator; one side has a sponge end whilst the other has a eyeshadow brush. It’s good that the palette gives you that choice, especially as the cheaper palettes tend to only have the sponge applicators. 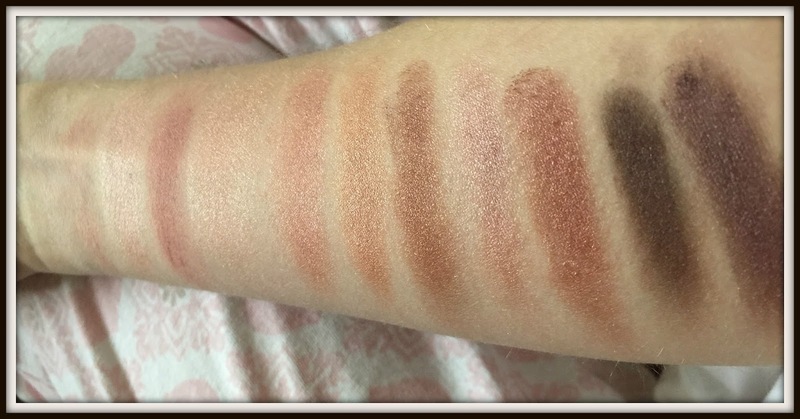 When swatched I felt there was quite good pigmentation in the majority of the shades not including the matte colours. The matte shades were very flat and boring and I certainly won’t be using them. For my chosen look I used the gold, brown and pink which are next to each other on the swatch. The pigmentation was quite strong when I applied the shade and by the evening they were still quite vivid and there was very little fall out. Not sure it’s a big disadvantage but some people may find it frustrating not knowing which shade is which.